They say it’s bad luck to change the name of a ship. The owners of the super trawler formerly known as Margiris may be pondering this old saltie’s superstition as the Australian government ramps up its efforts to prevent the ship fishing out in Australian waters. The issues are complex and controversial. Environmentalists are worried that this ship – larger than any fishing vessel that has operated in Australian waters before – will gobble up too many fish, and destroy too much ‘by-catch’ while doing so. As a historian, I’m intrigued by the actions of the spin-doctors behind the Dutch company, Parlevliet & Van Der Plas, who have decided to rename the ship, which is now registered in Australian waters as the FV Abel Tasman. It’s a clever attempt to highlight 400 years of Dutch-Australian contact, but I think they may have been too clever by half. Every school kid in Australia has heard of Abel Tasman (or I hope they have. You can never be sure these days). In the early 17th century, the new Dutch Republic created a global trading empire. In the Western hemisphere, the Dutch West India Company established New Amsterdam on Manhattan Island to tap into the fur trade; in the Eastern hemisphere the Dutch East India Company (always abbreviated as VOC, for Vereenigde Oost-Indische Compagnie) with its capital at Batavia (now Jakarta) on Java, set out to corner the spice trade. Unlike earlier European imperialists, the Dutch empire was based on middle class investors who bought shares in a company. There weren’t interested in conquest or conversion, like the Spanish, but in profit, and the profits came from buying cheap and selling dear, scooping up whatever natural resources came their way. The trick lay in concealing from the local vendors what the real value of their products was. The Dutch reached the Indies in 1602. The standard route was to sail around the Cape of Good Hope into the Roaring ‘Forties, then turn north to Java. Every so often on their voyage north, they bumped into bits of land. 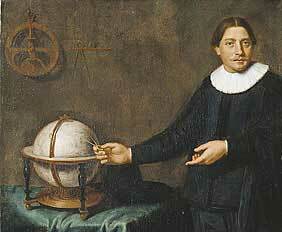 In 1642, the Governor in Batavia, Antonie van Diemen, commissioned Abel Tasman to search for new land to the south. He was given explicit instructions: to look for land, but not just any land, for profitable land. Van Diemen instructed him to treat any locals with respect, as possible trade partners, but if he found anything of value, such as gold or silver, he must be very careful to conceal its value from them. Tasman ‘discovered’ land far to the south, which he named Van Diemen’s Land after the boss. By 1856, when Van Diemen’s Land became a self-governing colony, its politicians and spin-doctors decided on a rebranding, because ex-convict ‘Vandiemonians’ had become notorious in mainland Australia. Tasmania, named after the Dutch explorer, sounded much better. But the super trawler may not be so lucky. The Dutch West India Company’s Director-General, Peter Stuyvesant, is best remembered today as the name of a cigarette. The advertisers probably thought this a good idea at the time, but times change, and tobacco is no longer viewed so favourably. Neither are super trawlers, whatever their names. This entry was posted in australian history, environmental history, maritime history, world history and tagged Abel Tasman, Dutch East India Company, Dutch West India Company, fishing, Margiris. Bookmark the permalink. Name changes are so interesting, and so frustrating. Currently chasing a number of Aboriginal personalities from early contact days through their name exchanges with Europeans. Speaking of which, I learnt in Manhattan recently that the Native American name was Manna Hatta, so the Dutch didn’t do too badly there, I guess. Hi Libby. Yes, and often with politics driving the changes too, as victors rename places – Gdansk instead of Danzig or whatever. I talked about Mannahatta here, by the way. What a great story. I knew that Tasmania underwent a name change but I didn’t know why. Now I do!